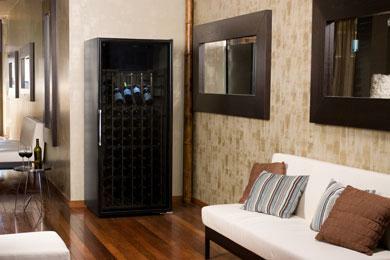 Designed for sophisticated wine collectors seeking simplicity and style, our Loft Series is ideally suited for modern dwellings. The tinted double-paned glass door is framed to showcase fine wine collections in their entirety. 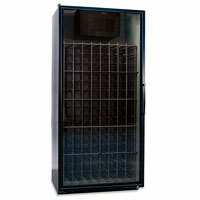 Sealed seams and premium insulation provide maximum thermal protection while our all-wood Universal racking easily accommodates large-format wine bottles. The door is available in a choice of black matte or brushed aluminum finishes, and can be hinged on either side.